I'm almost 7 weeks in to my second go around with a newborn, and although I’m definitely exhausted from night feeds, I have to say that the second time has been significantly easier. I’m sure a big part of it is that I “know what I’m doing” now so there aren’t very many surprises, but I also think I prepared better this time. 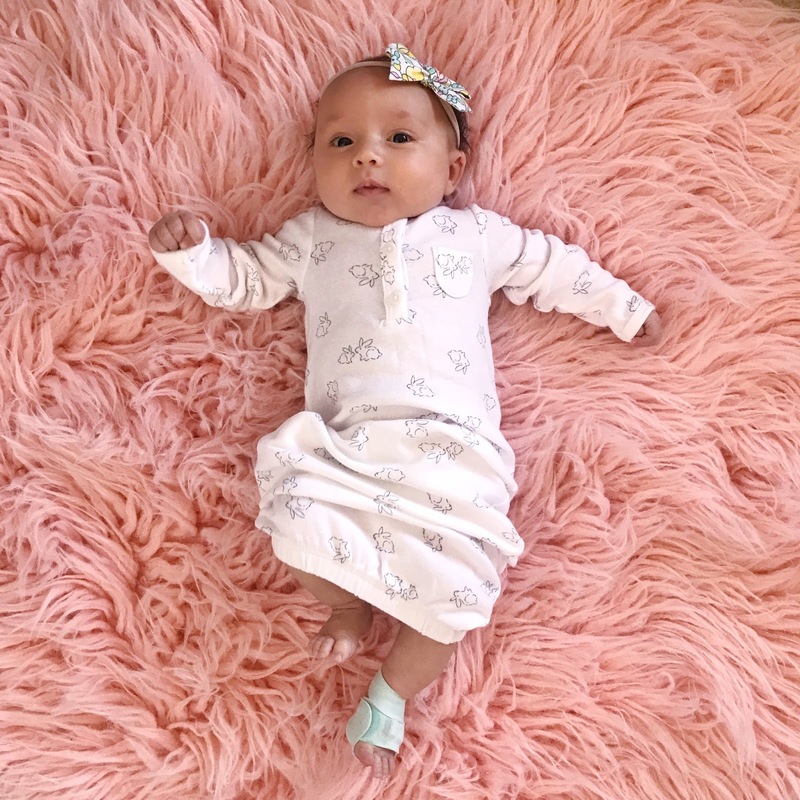 One of the biggest differences has been having the Owlet Smart Sock monitor for night time. When Baylee was a baby, my husband and I used to find ourselves waking up not only when she made noise, but also when she was super quiet to make sure she was still breathing. SIDS is so scary, so we would stand over her or touch her chest looking for the up/down of her breathing. I know we definitely would have gotten a lot more sleep if it weren’t for us being so worried about her all night long. This time, with Natalie, my Dad gifted us with the Owlet monitor. My sister had been using it for about 5 months with my niece after she got out of the NICU and she completely swore by it, so I was convinced! Sure enough, the first couple of nights at home that I started using the monitor we had a couple of red alerts that Natalie’s oxygen level was dipping below 80. It was terrifying, but I was so glad that we had the monitor to alert me to check on her. Both times that it went off, she ended up being just fine (she was born 3 weeks early so maybe a little sleep apnea, which can happen with newborns who are a little premature) but what a relief to know that we didn’t have to constantly wake up to make sure she was breathing!